All Campers MUST check in at office and obtain a parking pass Prior to setting up camper. We will not park you in campground after dark. We have temporary sites out front and will park you the next morning when it is safter. Please, no outside firewood due to the ash borer epidemic. We will have bundles of firewood for purchase. Speed Limit is 5 miles per hour! Children are playing! They may not see you. Please be considerate of your neighbors. Quiet hours are from 10:00 to 7:30 weekdays and 11:00 pm til 8:00 am on weekends. Pets are allowed but must be on a leash at all times. Please pick up all poop your pet distributes. No one wants to step in it. No bathing pets in the bathhouse. No Smoking in the Bathrooms! No fireworks are allowed to be lit in campground. 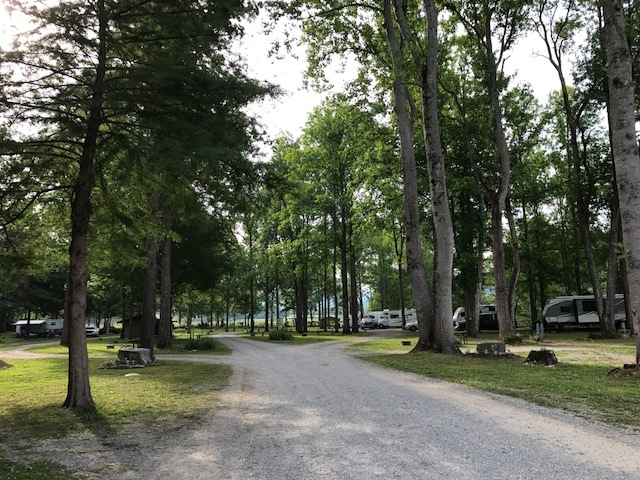 Our campground does allow day use passes for $15/person except on holidays. These passes are granted only if the campground is not too full. Showers and bathhouse use is included. No lifeguard is on duty. Children cannot be in river or on playground equipment without parental supervision! Lifejackets are required for children under 12. River shoes are recommended! Help keep our bathrooms clean. Report if they need attention. Little River Campground is in Townsend on the Little River. It is a great place to make memories with your friends and family. Run, ride bikes or tube down the river! Internet is available, but try to break away for a bit and see how refreshing it is! We have small store for necessary rations (s’mores, milk, bread etc.!) and Townsend has a nice grocery for all your needs just 5 minutes away. Protected from the highway, the campground makes a perfect place for children to ride bikes. With adult supervision, children may tube (under 12 must wear a life jacket) or fish in the river. Water shoes are strongly suggested. We ask that no glass be taken to our rock beach. Activities take place from Memorial Day to Labor Day. We just acquired a swimming pool. No lifeguard is on duty. Parents must supervise their children. Art on Fridays! Rock Painting or Tye Dying T-Shirts! Meet at the office area for a fun, creative time. Decorate our campground with your rock designs or your own souvenir T-Shirt for a fee. Join fellow campers on the rock beach, meet, greet and enjoy s’mores! Our haywagon leaves for the farm at 6:30! Feed the animals for a small fee. Great for pictures and children of all ages. See sheep, goats, llamas, fallow deer, miniature horses. Good behavior is required. Dogs of any breed that are hostile or aggressive will be asked to leave the campground, along with their owners. Please pick up your dog’s poop to help keep the campground clean. No dogs are allowed on the farm. Our sheep dogs will think they are predators and become very upset. Also please refrain from petting the sheep dogs or feeding any of the farm animals without our permission. Please scoop up your pets poop! No one wants to step in this! New for this year…..CAMPING CABINS and GLAMPING CABINS for friends who want a harder shell than a canvas tent can provide with a bathroom and heat and air conditioning, located right on the river. Also we will try to have a pool for your use, and an activity room, complete with ping pong. Follow Beka Pribek's board Let's Go Camping! on Pinterest.